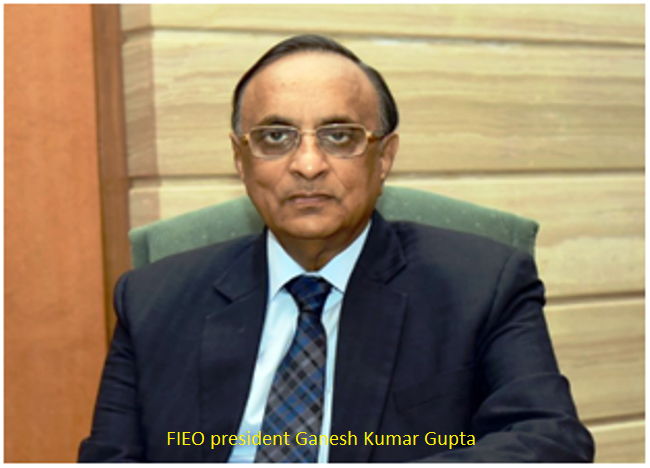 FIEO president Ganesh Kumar Gupta has welcomed the GST Council�s decision to clear all tax refund claims of exporters for July by 10 October and for August by 18 October. In a major relief to small and medium enterprises (SMEs) and exporters, the council announced a series of rule changes and lowered tax rates on 27 products and a few services recently. Gupta said that the initiatives will address the problem of the exporters particularly micro & small segments. The FIEO president also welcomed the decision to introduce e-wallet, mooted by FIEO, at the introduction of the GST which will provide a permanent solution to the liquidity problem of the export sector. During the interim period, government will provide exemption on inputs required for export production through advance authorization, EPCG and EOU schemes. The government has also resolved the problem of merchant exporters by putting a duty of 0.1 percent on any supply from manufacturing to merchant. Gupta termed the changes in rules as pragmatic decisions that show the flexible approach of the government which will ameliorate the problem of export sector and will impart much needed competitiveness to exports. He complimented and thanked the Prime Minister, Finance Minister and Commerce & Industry Minister for the far reaching decisions, which will help in pushing exports on a growth path.